Elected intendant September 6, 1830, succeeding John Gadsden. Succeeded by Henry L. Pinckney, September 1831. Born 1782, died July 11, 1840, buried in St. Michael's Episcopal churchyard. Son of Robert Pringle and Mary Reid, married Elizabeth Mary McPherson 1807. Represented St. Philip's and St. Michael's parishes in State House during three General Assemblies, 1808-1813, and in State Senate during three General Assemblies, 1814-1819; resigned upon his appointment as United States Collector for the Port of Charleston. Bailey, N. Louise, Mary L. Morgan, and Carolyn R. Taylor. Biographical Directory of the South Carolina Senate, 1776-1985. Volume 2. Columbia: University of South Carolina Press, 1986. Charleston Courier, September 7, 1830. 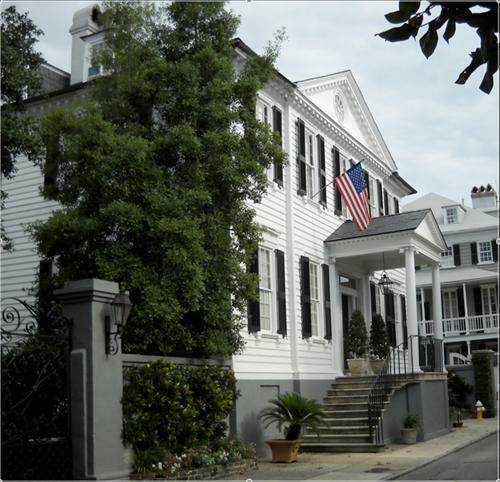 7 Orange Street, home of Intendant James R. Pringle. In 1747, Alexander Petrie subdivided his Orange Garden tract, leaving "an open street on the east side thereof of 20' width," which became Orange Street. The Pringle residence was built ca. 1769 for Col. Charles Pinckney (1732-1782); in 1822 William Price sold it to J. R. Pringle for $12,000. The Pringle family retained this property for rental income after they moved to Rutledge Avenue (then known as Pinckney Street) in 1838. Elizabeth Mary (McPherson) Pringle died in 1843, directing in her will that her Orange Street house be sold for payment of legacies and debts. In 1847 her heirs sold it to E. W. Edgerton for $6,500. 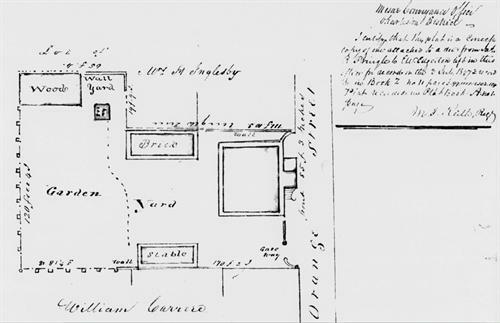 This plat, drawn by Robert Q. Pinckney, was annexed to the deed. 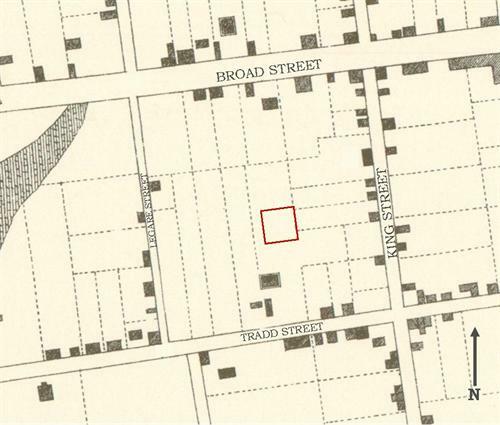 Approximate location of 7 Orange Street in 1739, before the street was opened. 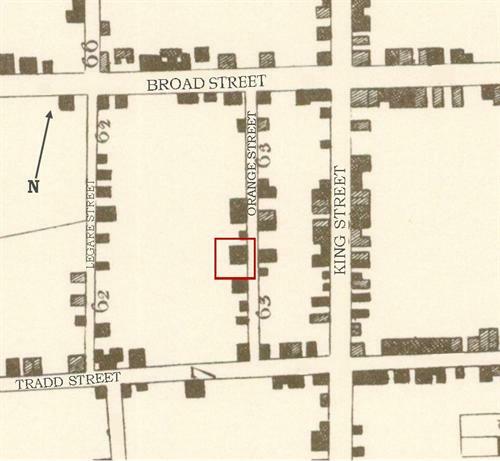 This 1788 map depicts 7 Orange Street. Frances Brewton Pinckney, Charles Pinckney's widow, sold the property in 1794. 7 Orange Street, a frame dwelling house with attached brick kitchen, in 1888. 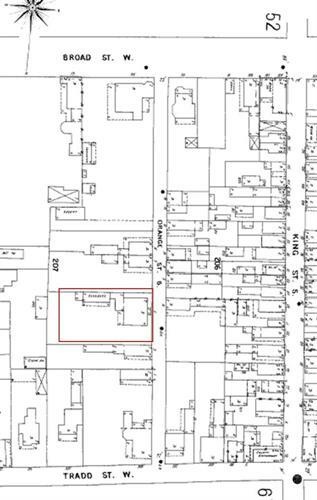 James R. Pringle bought 172 Rutledge Avenue in 1838. 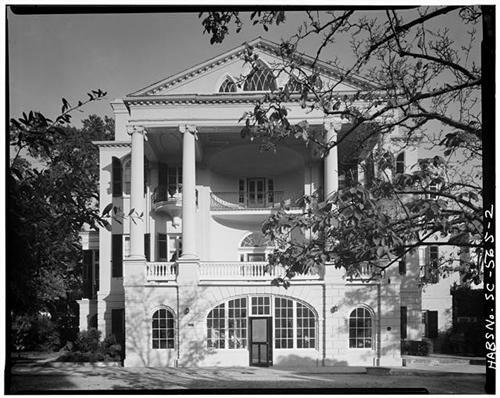 The Pringle family held the property until 1845, then sold it to George A. Trenholm. Since 1909 Ashley Hall School has occupied the property, known today as the Patrick Duncan House.